Let us begin the third article of our series about my vindication. As a matter of subtopic, we intend to point out the biblical foundations upon which we stand to support this teaching. Let me remind you that God has the power to carry out what He has intended to do, and because of this power He is acknowledged by all creeds as the Almighty. We have clearly proven with strong biblical evidence that God has chosen men to become participants of what the Scripture calls the firstfruits. Following this, we presented the clear concept of what an angel truly is by the light of the Scriptures, in particularly in the book of Revelations. In our past article we mentioned that an angel in the Bible frequently refers to a man and not a heavenly being. 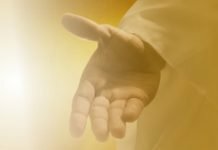 Above all—we want to make an emphasis on this point—whenever the angel mentioned is shown preaching a theological or biblical message, with an evangelical commission, it is undoubtedly referring to a man. Remember this: Men are the ones commissioned to preach the good news of salvation, and not literal angels from heaven (that, by the way are physically similar to us with the only difference of their superior faculties and ranking). Therefore, when Revelations 18:1 says: “After these things I saw another angel coming down from heaven, having great authority, and the earth was illuminated with his glory.” In other words; I saw an appointed man with authority and with great light to illuminate the world with God’s perspective. This is very important in these series of articles that intend to communicate what the Lord has declared to me. Many think that I have set dates for this but that is not true. I have never set dates, what I have said in simple words here and anywhere I go is that the Lord has declared to me that He is going to vindicate me, that is, that he is going to restore my physical appearance and faculties to that of a 27 to 30 year old man. This is what the Lord has told me:“You’re going to be vindicated,” and he has given me the details about how this will take place without giving any particular dates. “You will be vindicated and you will act as a sign to the world prior to My Return and you will become a full-time minister for judgment prior to My Second Coming. The sign will be like the sign of Jonah—just as Jonah spent three days and three nights in the belly of a fish, in such the same way the Son of Man will be three days three nights in the heart of the earth. And now you will become a post-figure of me when I was slain as a result of the world rejecting my feat on their behalf.” These are His words. This is what I called in past occasions a post-figuration. 2. When we put into use the following interpretative principles: Pre-figuration and Post-figuration—including a similar interpretative method known as prospectivity. a. Prefiguration—To speak of a prefiguration is to speak of something that occurs in figures in advance of reality. b. Postfiguration—To speak of a post-figuration is to speak of something that takes place after the reality has taken place—In this case, occurring after the event of the Calvary, which is the true center of history. C. Prospectivity—All past events point towards a final act or acts. For example, what happened to Jonah was a pre-figurative act; what is about to happen to me is a post-figurative act (for it happened after the Calvary) that intends to lead our attention towards the center of history, when Christ’s feat took place, and bring it back to memory. 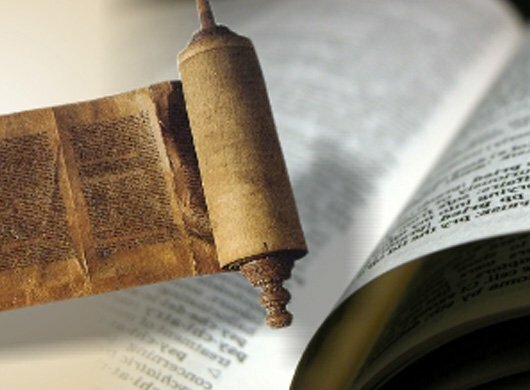 In this article let us analyze Revelations 10. I will prove to you that Revelations 10 is truly speaking of a herald, an angel, a preacher that at End times would have to preach for a “little more time” to bring knowledge of the final truths of God’s revelation, but at the same time it is not John the one who receives this revelation to carry out. On this matter it is imperative for us to understand one thing: John is the one who receives the revelation but it is not John who carries out the viabilization of this revelation. So this is clear, and it is expected that those unbiased people can truly understand me. This is what I have said: John receives the revelation but John does not carry out what the revelation declares must be viabilized. In Daniel 12 there is a revelation from God that Daniel was not allowed to disclose. It was told to Daniel, that “these words would be kept secret until the end time”. And even when Daniel insisted on finding out what the revelation was about; he was once again told that these words must remain secret and sealed upon until the end time. In other words, he was told not to bother to try to understand the message for he was not the one that would have to deal with the revelation of this matter. He received an additional hint: This revelation will be disclosed when science increases. 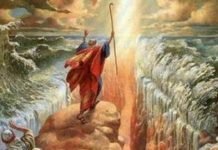 One of the things clearly stated is that in time when Daniel lived, things that exist today where not in existence then, things that are necessary for a clear understanding of God’s final revelations. When Daniel was told, “shut up the words, and seal the book until the time of the end”, it is the same as it was told John. Both men received similar commands: To Daniel, “seal the book”, to John, “Do not write them” (which is the same as “shut up”). There are some events that are set to take place in this time, which are presented in advance prior to the fixed time. Therefore, there is an angel or man involved that in this end of time will disclose what was revealed to John. As I already told you in the previous article, this man will come out from Puerto Rico, as foretold in its Coat of Arms. According to the Scriptures, “from the islands of the sea I will call my people, I will bring Levites (priests), said Isaiah, that is, prophets or ministers” (Isaiah 66:20-21). Thus this extraordinary fact is clearly marked in the Scriptures and now we can clearly understand that John received the revelation he was not to carry it out, but lead our attention towards the end of time when the seventh angel sound his trumpet and everything will be revealed: “but in the days of the sounding of the seventh angel, when he is about to sound, the mystery of God would be finished, as He declared to His servants the prophets” (Revelation 10:7). How clear it is! Pay attention to the fact that to John it was told “Go, take…”, and John went and took the little scroll (in other versions “book”). This small book contains the eschatology, this is, the preaching for the end of end time. I have told you before that the end ranges from the time of Christ to the present, but understanding that the end has its end. It is evident then that the seventh angel (who is the last of the angels to sound his trumpet) announces the preamble to the final preaching. To John it is said, “Go, take….” There is a biblical principle that we also use to interpret Revelations: Representation. John is a representative of the prophetic call for the end of the end time. The name “John” means“God has sent his grace”. Therefore, all men of God or prophet that brings about the grace of God in his preaching is one with the spirit—intended meaning of communication of John. In the Coat of Arms of Puerto Rico there’s an inscription that reads “John is his name”, and there’s a book with the seven seals, (which is, the Book of Revelations), and there is a lamb sitting upon it. How wonderful it is to understand these truths! I am so happy no matter the risks and dangers I may encounter by part of the prince of this world and his followers. I don’t care what may happen to me. Christ was never afraid of what may happen to him, but instead he moved forward with the truth, for the truth is above all men; it is neither optional nor negotiable. Why does this happen? Because their preconceptions force them to expel you before giving you the opportunity to talk, they stone you, and kill you—this is Satan’s preferred method. So, the bitterness of a prophetic call is the execution of such commission. To receive (to take, to assimilate) this revelation, the way I am receiving it, is sweet and pleasant as honey, but there comes the fatal consequences of the harsh, capricious, arbitrary persecution that we can also describe as full of Satanic rage. I have gone through such experience (and still am). To bring further support, let us finish this part by reading on verse 10. What this verse is truly saying is that you have to prophesy again about many peoples, nations, languages, around the world. This is the purpose of My Vindication: that I can carry out a world-wide preaching, for, who around the whole world would not be curious to see a 67 years old man reappear vindicated with a physical appearance of a 27 to 30 year old man? This will be the sign that will draw the attention of all news media. You will be surprised of the many things that are about to happen. I will explain them to you because God has given me this information to explain it. We have brought to you this series regarding my Vindication so when things happen you can remember that I have told you beforehand (just as Christ once said, “…that when the time comes, you may remember that I told you about this beforehand”) This has been my intent at this moment, and, behold, I must preach to the whole world. “You must prophecy again before many people and nations, and tongues and kings”, as declared on Revelations 10:11. John is not living among us anymore, John is already vindicated but he is with Christ along the other men that God has chosen as members of the firstfruits until the Second Coming of the Lord. The difference between them and me is that I will ascend to heaven to receive my Vindication to return and deliver the additional information that I must preach. This servant of yours will return from heaven to proclaim the things I must declare prior to the Second Coming of Christ. This is no strange thing for Christ has already done it before. Christ ascended—and remember that he told Mary: “Do not cling on Me, for I have not yet ascended to My Father” (John 20:17)—and after receiving His investiture as King of Kings and Lord of lords He descended and completed what He had to preach in those days in order for the Church to edify it upon the solid foundation of His sacrifice. It is upon this feat that the church is built upon I have simply been called to join his royal court and become a post-figure of His works. 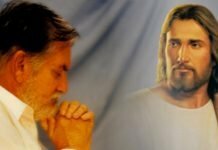 In simple words, this servant of yours comes to proclaim what I will receive after my ascension to heaven, which is the revelation or “little book” I am about to “eat” (the information I will receive during my ascension in accordance to the things I already know and that have been revealed to me). Within this context I will return to you. I don’t know exactly how long I will be able to stay among you to consider this topic. I know what the Lord has commanded me to do: “Carry out what I have told you: establish the proper background so that your return will become the great sign to the whole world. The whole world will know who you are”. In Revelation it is written about a world-wide work for all nations, tribes and languages. This is my perspective and for that perspective is what I live for. the focus of attention of the people so they can give heed to your words. That will be the strong and loud proclamation or the intense preaching to the final days”. It is evident that Revelations 11:1 is within the context of Revelations 10:11. No doubt about this for it says “then” which is a conjunction. It is like saying. “After receiving the instructions, then I was given a reed like a measuring rod”. Allow me to say here that the measuring rod is a symbol of the Gospel, the reed used to measure is the gospel. The measuring reed that John receives is the revelation of the Eternal Gospel, and it is within the context of the Gospel that these final truths will be preached to the people like you who are now receiving these revelations. In the next article of this series we will bring biblical foundation for our teaching and we will make an analysis of Revelation 11. You will clearly see that the angel that descends from heaven in Revelations 18:1 is me, this servant of yours, just as Jesus has revealed unto me. In order to descend from heaven, as it is said on Revelations 18:1; I must ascend first. For this reason, I will be taken up and then returned back to earth. This is the end of this article, till next time. On the meantime, may God take care of you in his divine love.